Are Writing Competition Prizes Taxable? Do You Make These 7 Big Mistakes When Entering Story Contests? Do You Overuse Exclamation Marks?! Should You Use Swearing in Stories? In terms of competitions, short story length is usually between 1,000 and 5,000 words, although I have seen short story competitions with a 17,000 word maximum. Some people might regard this as a novelette or novella. If you write a story of under 1,000 words, most people seem to regard this as flash fiction. I’m of the opinion that the correct name or length is whatever any publisher, competition judge or magazine editor deem it to be. Just write within the parameters they ask for and you’re more likely to win competitions and be published. Hi Chris, I have written 3 children's books, I guess you would say Novellas. I self published one for charity (I am recovering from cancer and wanted to raise money) but after Lulu took their cut, there was very little left for the charity. It's still up there, called Arrowroot the Goblin. Charity projects are tough, unless you're really famous so the publicity is worth it for the publishing house. Sounds harsh, but that's how business works unfortunately. I'd also imagine that the amount of charity projects a publisher receives means they just can't support all of them. Have you tried approaching the charity you're fund raising for to see if they can help with publicity? I'd imagine that's more likely to gain a response as there is something in it for them. You could try approaching agents, rather than publishers, as they will consider previously unpublished authors, but the children's market is incredibly competitive, so you need a VERY thick skin. I'm not really sure what else to say. It's a tough problem all writers face. That's partly why I started writing short stories - they're a lot easier to complete and there are plenty of publishing opportunities for them and competitions to enter. If you are published through these mediums, people start to recognize your name so you start to sell a few books. It's a long game to play, but I'm afraid I can't think of anything else to suggest! Hi Chris, I am just nearing the completion of my book (45,000 words at the last count). I hope to reach 500,000 at least. My brother is helping with the editing. It is a fantasy adventure that is written in the first person. I have based a lot of my characters on friends and family (with their permission). I will self-publish through Amazon. Is this a good idea? My brother has already published his book (Mark S) so his input is a great help. I think Amazon is a good way to go, if you don't want to approach agents or publishers. You'll need to market the book well to make many sales, though. If your brother has had success with that in the past then that is likely to be a great help. I think Amazon has more exposure than Lulu (which is the other self-publishing site I've used), so will probably be better, but Lulu is a lot more user friendly and intuitive to use when setting up your book and monitoring sales etc. Oops, yes its around 50 thousand. I have ended the book with the begining of the next, so I am am also working on that one, it's all go. I wish I could afford to just write as that would be fantastic. I lived most of my life in Southern Africa and have used a few of my real life adventures in the book. I am now back home in Wiltshire with my family, but one day i hope to return to my adopted continent. I think most writers wish they could afford to just write. If you persevere, at least you have a chance of achieving that dream. Never give up, that's the key! Best of luck with the books, mate. And enjoy Wiltshire - it's a lovely part of the country. Hello Chris, I think it is really great that you have this website. I think it really helps those who are interested in writing, but have no real idea about how to go about the whole process. I am one of those people :) I am going to enter my short stories in some of the competitions you have listed. Is it okay for me to enter the same story for various competitions? I would think so. Okay, keep up what you are doing Chris. You are great!! It depends on the competition - you'd have to read the rules for each. A lot of them ask you not to submit elsewhere while a story is under consideration, but some allow it. I like to write short articles from my experiences. All are non-fictional. I have written two children's stories. I don't know what to do with these or who might publish them. What do you suggest? Frances, I'm not very familiar with non-fiction. Try looking at my short story competition page and see if any of them accept non-fiction submissions. I know some of them do, but you'd have to look through them and see what is most suitable for your work. You will also find competitions for children's stories. Hope that's helpful. Best of luck with your writing. I've written two novels in the Indian language. I've also written a short story. I need finances for my daughter's education. Please can you guide me? How can I send my short story to magazines? It's in English. I had never thought of taking writing as a career but now I think I should, for my daughter. Please guide me. Thank you. Nidhi, you will have to research magazines and see what their submission guidelines are like and whether your work might be suitable. It's best to read back issues so you can see the style the editors prefer. Try this page where I list a lot of magazine opportunities. Hope that's useful and best of luck with your writing! I have a short story just over 5,000 words in length and I would love to publish it. Can I get some advice? I'm considering three follow ups in the series. I also have a short contemporary drama and according to your words a children's adventure flash story ready for competitions. This will also be a series more like 1,000 words each. I would like to hear from you. Ron, if you check out the short story competition list and the magazine list under the Writing Advice section of my website you will see lots of publishing opportunities for your work. The best bet is to look through them and see which competitions / magazines might be most suitable for your stories. Thanks Chris, I actually started going through some of them and reading your advice before signing out and got a couple of key take-aways from it. Thanks again, I am now a fan and will continue to read your stuff. Ron. Do you have the names of magazines that write in this fashion? Chris, thank you so much for the information. Chris, I would like advice on stories from the Far East (not exactly a genre that is the flavour of the day). My stories (short and novellas) are based in Malaysia/Indonesia. Are there any publishers who specialise in this genre? Since Maugham, Orwell, Burgess no one seems interested in this part of the world. Yin, I don't know of any publishers who specialise in stories based in the east I'm afraid. That's not to say that publishers wouldn't be interested in them. In my experience, it doesn't matter where a story is set. Publishers are simply interested in strong stories. So it really depends what the stories are about and how good they are. If I were you, I'd try submitting them to magazines and competitions and see what kind of feedback you get. If they're already written, it's certainly worth a try - you have nothing to lose! Christopher, I recently lost my job in the Banking sector and, as I have always loved reading books, I decided to try and write a short story myself. It's something I always wanted to do anyway. Would it be possible to email or post a copy of my short fiction story to you for you to look over and perhaps see if it's any good? Anne, I'm afraid I receive a lot of requests like this and can't offer to proofread other writer's work for free. Having a full time job and running this site leaves me very little time! However, I do offer a paid proofreading service that might be of interest to you. I published a short narrative of 13,300 words as an eBook on Amazon in time for Mental Health Awareness Week. It was promoted during that week by Anxiety UK, Bipolar UK, International Bipolar Foundation, Mental Health Foundation, Mind, Sane, Rethink, Relate, Time to Change, YoungMinds. Claudia Hammond from BBC Radio 4 also tweeted its presence on Amazon. They were all able to advertise the narrative when it was free. I'd like to work towards promoting it for World Mental Health Day, 10 October 2014. One way would be to find translators so it could be read worldwide. The narrative is for anyone who supports someone with a mental health problem and those who experience such difficulties. It was described by the Director of Operations at IBF as "a wonderfully unique perspective" as it does not judge or blame any aspect of being ill and shows a journey towards recovery which doesn't shy away from living daily with a mental health condition. The narrative has taken me 20 years. I don't think there is another piece to follow but I may be wrong. The journey I'd like to take is to help people through illness and into work. Against all odds I am a special needs teacher and I love my work. I don't have experience or contacts in publishing or marketing, nor do I have funds to publish the narrative alone. Please would you offer some guidance about how to move forwards with the story. It's called The Flight of the Bumblebee by C. C. Neish. Catherine, it sounds like you've already had a good amount of success with your eBook - having all those institutions promoting it is really positive, so congratulations. I'm not sure I can help with this, as I don't have the right kind of contacts. Most of my contacts run writing competitions and writing websites - they aren't publishing companies. It might be worth investing in the latest Writers' & Artists' Yearbook as that will contain up-to-date contact information about many different publishers. I have written a fictional story. It comes to about 50 pages. It is basically a novelette. Which magazine would most likely accept my story? Much appreciated if you can suggest one. Bruce, I'm afraid you'll have to undertake some research and read magazines' submission criteria and see which is most appropriate for your work. I list a lot of magazine opportunities on my short story magazines page, so that's a good place to start. I have written a story about a dog who wants to fly and finally gets his wish. It could be a magic realist story for adults or a simplified a tale for kids - the message is diversity and daring to dream. Theres are two competitions I'm thinking of. One, the Katherine Mansfield, which, if I win, will get me noticed, or with alterations the Dutch Diversity Prize mentioned on your page. I hope I don't sound too cocky, it's my best work so far and I've won a haiku prize and got a bit of poetry published, but I had to quit my job because of pd so I'm looking for another career. Anton, that sounds great. Let me know how you get on with the competitions! Hi Chris, great to find your website. Really pleased to find a website about writing that doesn't takes itself too seriously! At the same time though, you have a lot of good advice. Looking forward to entering your next competition. I was thinking about offering my first short story for free to get some exposure, and then start charging for my second and so on. Chris, really appreciate the word lengths printed above. This tells me that I have either a short story or a novelette (8,500 words). I would love to find a home for my ms, however, I haven't found a publication that will look at anything of this length. I'm surprised by how short the word cut-offs are. Any suggestions? Tyvan, that's great, best of luck with publishing your work"
Allie, try looking through my short story magazines list. Competitions usually have shorter word-count limitations, but magazines do sometimes consider longer works. Hello Christopher, I have submitted a novel of 40,000 words, which was the minimum prescribed for the competition. If I want to get it published, is it better to get short excerpts of the fiction story published in some magazines? The fiction story is a thriller. Which magazine would you suggest? Hi Subroto, you could try, although many publishers prefer that writers submit previously unpublished work, so it will depend on who you are approaching with your book and what they say in their submission guidelines. Some magazines will consider publishing novel excerpts, but not all. You'll have to do some research and see which ones do and don't, and which ones a thriller might appeal to. I'm afraid I can't really advise as it is dependent on your style of writing and what each magazine is looking for. The other thing you could consider doing is using the characters in the story to write a short story and tailor it towards the magazines you're considering submitting to. That way, your novel remains unpublished, but you have work in a similar style and using the main characters published, which will look good on your writing CV. I hope that's helpful, and best of luck with getting your work published. I have written numerous short stories, articles and poems. I am currently writing a book. I was wondering if the short stories that I have written for the Lancashire Evening Post would be of interest to you. Their word limit is 1,500 words, so they are quite short. I have a wealth of articles, which I have written about Eating Disorders as I am currently suffering from anorexia. Again, I am unsure whether or not they would fulfil any writing competition criteria. I look forward to hearing from you. I just love to write. Kathy, I'm afraid I'm not currently publishing any stories from other writers other than through my short story competition. You can find details here. There are some non-fiction competitions that might accept your articles, so it might be worth researching that on Google. Hope that's helpful and best of luck with your writing. Hi. I'm working on a collection of short stories, of which ten of the stories have been completed. I'm aiming for fifteen, and at this stage I'm looking for a publisher. My work includes a number of allegorical works and humorous stories. Can anybody recommend a good contact? Dean, sorry, I don't know of any. The best bet is to check out the Writers' & Artists' Yearbook and do some research that way. Hi Chris, I have been writing a Science Fiction story since Feb 2014. It's been a bit hit and miss but I'm up to 36K words and it's not finished yet. However, I am now getting to the point of thinking how do I get it published. I've seen Amazon's site but I'm still not sure of what I need to send to them or anything like that (total novice). Have you any suggestions, or advise? PS do I need a cover illustration? David, if you look at the Amazon Novel Award submission guidelines they will tell you exactly what you need to do. Generally, most publishers will expect to read a finished novel if they like your initial submission. There are exceptions to this rule, so you will have to research each individual publishers' / competitions' submission criteria, but that is generally the case. So I'd advise that you finish the book before submitting. You do not need to have a cover prepared for your book (unless you intend to self-publish) - it's the story that matters. You could also check out my book and novel competition list - there are lots of opportunities listed there. Best of luck with finishing your book! Hi Marie, I don't think it matters where you live in the world - if a publisher likes your work they'll publish it! The key is not giving up. Rejection is just part of the job. Each time you receive a rejection, reread your work, improve it where possible and then send it out again. That's how I do it. Sometimes my stories are rejected many times before they are published. Chris! I received your reply and I would like to thank you for your time and effort. It really means a lot to me especially coming from you. What you said really helped me to be more hopeful and to just keep on working hard until I get that yes that I've been waiting for. Christopher, this information on story length classification is really useful. I haven't been writing long but a friend suggested I try for the Open Lines comp on Radio 4 but I have ended up with a much longer story than their guidelines suggest. I don't know whether I should chop it to bits, enter part of it as a stand alone or enter it somewhere else and send in something different. Any tips gratefully received. Holly, this is a common problem! Sometimes, an idea turns into a longer story than you anticipated. In these circumstances, I usually enter the longer piece elsewhere and write something new to the required word length. But if you feel the piece could work as a shorter story, then chop it back. There's a bit of trial and error involved, but you'll soon get used to what works for you. Thanks Chris, have done just that... only I feel a bit cheeky sending something in that is so speedily written. Happy with it though. Thanks for the advice and Happy writing! I have written a short story of around 4,000 words which you can call a novella. It is a women oriented story set in an Indian background. The title is : "Aren't we a family"
Should I send the manuscript to you? Srijaya, I don't publish other writers' stories, except through my short story competition. If you want to enter that, you will have to pay the entry fee. I wish you the best of luck with getting your work published. I have written a children's book about how trucks fit into the intermodal system of interstate commerce. I have spent the last 30 years in the industry, so my perspective is my strength. I have submitted the manuscript to about 8 publishers with strong interest but no bites. Any suggestion on who I can focus on to tell my story? My option is to self-publish and use my connections in the national truck stop directory to market the book at their location. Long haul truckers are the audience. It is mainly a picture book with sound bites of truck horns, train whistles, boat whistles and plane propeller noises. Any suggestions? Second message: I've written a short story; 1,500 words. It is an adult subject but not vulgar. Mostly humorous accounting of my freshman year in high school and my relationship with the class tease. Any suggestions where I might send for publication? Thanks twice. Hi Herb, I'm afraid I have no experience of the trucking industry so can't help there. The best bet is to invest in the Writers' & Artists' Yearbook as they have up-to-date publisher information that is likely to help you research the best market. Failing that you could self-publish through Create Space or Lulu or something like that. Regarding your short story, there are loads of opportunities listed on my website on the Short Story Competitions page and the Short Story Magazine page. A little research there should give you plenty of opportunities. I also run a humorous short story competition too, so that might be appropriate. Your lists and comments are by far and away the most useful that I have come across in more than just a little bit of research in trying to find one, just one site that I can consistently go to and know that they first care and second put the research and effort into something that is worthwhile as well as helpful. For that my friend, I thank you. Chris, I have written my first novelette and I will be writing another one to add to it before I try to publish them. My complete one is a little over 13,000 words and I know the rule of thumb is to put two or three together in a book format before you publish. I have also started writing short stories now. They average to about 1,500 words each. What I would like to know is how many short stories would I need before I can publish them in a book for Amazon on Kindle? Or is it the word count that I should be considering? I would like to get a baseline to work from, so any advice given, will be appreciated. There is no rule really. Most readers would expect 10 or 15 stories at least, I guess, to regard it as a collection. The shortest collection I've ever submitted to a publisher was 15 stories and was over 40,000 words (40K was their minimum requirement). If you're self-publishing, you just need to do what feels right for your writing and the collection as a whole. And then maybe price it cheaper if it ends up being short. I have written a novelette and would like to see if it is publishable. It is a historical work of non-fiction that involves my family. How would I go about submitting this? I would appreciate any advice that I could get. Thank you. Aidan, you would have to research publishing opportunities. It will depend how long your story is, but some magazines might accept a novelette - sometimes they serialise longer stories. Or you'd have to approach publishers. The Writers' & Artists' Yearbook is a good place to start. Hi! In July of this year I'll be a 93-year-old codger. I am a retired businessman who, upon retiring at age 75, got restless and went back to school and participated in a few creative courses. At age 80 I wrote my memoir, then in 2006 I wrote a romance novel and followed it up with a sequel in 2008. I self-published all three books and sold several hundred copies of each without doing any significant promotions. I no longer want to write novels but from time to time I get involved in writing flash fiction and short stories. Would you be interested is publishing some of them? Joseph, I'm afraid I don't publish other writer's work, except through my short story competition which you would have to enter. Congratulations on your novels! And I wish you the best of luck with getting your short stories published. Hi Chris, I have been wanting to write for as long as I can remember but have always worried about keeping ownership of my work so have never approached anyone about publishing it. Can you give a brief overview of what happens, sort of how to keep the writing as your own? I would like to think my stuff was good enough to publish but dont want to submit it to find it had been used by someone else. Thank you. Gayle, as soon as you write a piece of fiction, you own the copyright as the creator. You will have the original files and can prove you submitted your work to a magazine by keeping emails or proof of postage. You can learn a lot more about Copyright on Wikipedia. I really wouldn't worry about anyone stealing your work - the likelihood is miniscule. I've been submitting stories for years and have never encountered any problems. I hope that puts your mind at rest, but let me know if you have any other questions. Thank you, Chris, this has always worried me. I once submitted a piece to a children's magazine then thought I saw bits of my story in others that were printed. Never did hear back from them. Sorry to hear that, Gayle. If they did use your work without permission, you should probably take legal advice as they should pay you for it! Hi Chris, long time ago now and it just put me off, but am looking at finding a publisher for small stories. Thank you for the advice. Am trawling through my papers, (I don't throw anything away!) and have just finished your book. I enjoyed it very much and was genuinely surprised by the end. All the best with getting your work published! Been writing stuff mostly screenplays and short stories for twenty years or so. Need to get it out there how do I go about it Ta! Hi Chris, why is it that in literature short stories are long sometimes? Hi Chris, I want to write a story, but I have a big problem with the language of English. So can you give any suggestions regarding this? I hope you will help me. Hi Arjun. If English isn't your first language and you're not confident writing stories in English, then there are 4 options that I can think of. 2 will take time, and 3 and 4 could be costly, so I'd advise you start with 1. If you get any of your work published, you will know the story is good and therefore it might be worth investing in translating the story for English language markets. Hi Chris, thank you so much for your valuable advice. Hi Chris, I have written 3 children's books, I guess you would say Novellas. I self-published one for charity (I am recovering from cancer and wanted to raise money) but after Lulu took their cut, there was very little left for the charity. It's still up there, called Arrowroot the Goblin. I've written 2 more, one of which is 10,500 words and I think better than Arrowroot, but have no idea what to do with it. I did try a few publishers. Most said they did not accept manuscripts from new writers, so not sure how you're meant to ever become anything else. And no one AT ALL was interested in charity projects. Any advice much appreciated. Lots of people write books for charity. I suspect publishers get inundated with requests of that nature and have to focus on what makes money. If they were to undertake charity projects, they are much more likely to use a recognised author so they can guarantee raising some money. A project with an unknown author is likely to make a loss, unless there is a specific angle that can be used for marketing purposes. I'd recommend continuing with the self-publishing route and then marketing your book yourself. CreateSpace is a good place to start as it's free to use and you can then distribute through Amazon. That's what I do. I've used Lulu too. The cost is similar, but Amazon gets you more exposure as the distribution is better and they have a larger audience. You still have to push the book yourself though, to generate sales. You could see if the charity is interested in advertising the book through their website/Facebook etc.? That could help. I hope that's helpful. Best of luck with your book. Hi Chris, I am starting to write some short stories which I would like to put into one book. I hope you don't mind me asking a couple of basic questions. I would like to write a couple of 50,000 word stories. How many chapters would you use in a 50,000 word story? Also, I am using Word. I have seen you should have 10 pages a chapter. I have also seen you write 200ish words per page. So, every time I reach 200ish words, do i make a new page? Or just write on the page in Word until it makes a new page itself? Hi David. There is no rule or limit on the number of chapters used in a story. It is entirely subjective - just use as many as you think the story requires. The same goes with words per page. If you are submitting to publishers, they generally expect documents to use double line-spacing for editing reasons. There is no expectation regarding the number of words per page. When a story is accepted for publication, it is formatted specifically for printing. If you are planning to self-publish, I'd use the same method. I use CreateSpace to publish my books. When a book is complete I download one of their templates and then create the actual book using that. I hope that's helpful. Best of luck with your short stories. It's really fantastic that you encourage new writers from all corners of the world. I found your site a gate-way for my writing of short stories, poetry and translation of any English / Hindi stories into TELUGU. I have short story of 642 words. Whom should I send it to? I am from Andhra Pradesh, India, Asia. I have been working as a teacher in a public school for the past 25 years. If you want to enter competitions with your story, try researching opportunities on my short story competitions lists. If you want to submit to short story magazines, try this page. I wish you the best of luck with publishing your stories. Sir, I have written a story. It is about 5 pages long. 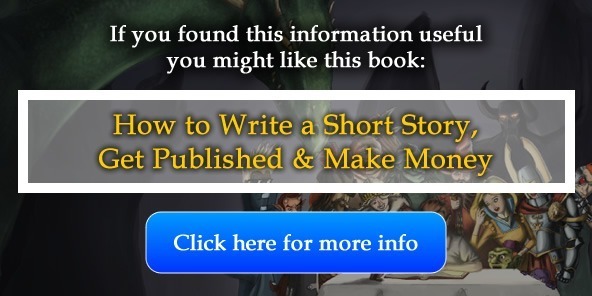 How many pages should there be in a short story?And can short stories be published on sites like amazon as an eBook? Hi Yuvraj. Usually, short stories are measured by word count, not the number of pages. This is because font size, type of font, spacing etc. can make the word count of a page vary considerably. You can Google tools to count the words in a story for you. However, some aren't very accurate, so be wary of that. Microsoft Word, Google Docs etc. do it for you and are accurate. So far as I know, you can self-publish any length of book on Amazon. Just check out their KDP guidelines. Hello Chris, I am a teen who had originally hated ELA but have now gotten into writing. So I'm kinda going into writing bling. I have a great novel that I want to at least have a word count of 50k. My friend has told me to start with some short stories. I started writing but I'm not sure how long this story should be. I don't want it to be too short, but not too long to where I'm basically writing another novel. What would be a good word count for the story? Should it be a short story, or a Novelette? Hi Jeff. It depends what you want to do with your story really. The vast majority of short story competitions ask for stories that are up to 5,000 words in length. Magazines sometimes accept longer submissions. Up to 8,000 words is common, above that is less common, but you do see some that will consider publishing novelettes and novellas. Personally, I tend to write stories under 5,000 words as there is a large market full of publishing opportunities for tales of this length. The market for novelettes is smaller, but there is a market there. So it depends what you want to do with the story when you've finished it. There is no rule - you just need to pick a market and write for it. I'm writing a short story, but every time I write up to three pages I read it again and it doesn't make sense so I end up starting all over again. Hi Angelica. Have you tried plotting a story out before you write it? If you do that, it can help keep you focussed and help the story stay on track. It's worth a try. Please tell me how a short story differs from a novella. Thank you. Hi Mickey. It's the length of the story. Novellas are longer than short stories. The story lengths discussed on this page are a good guide. Thank you much for your response. Would you please give me maximum word count to go by? Hi Mikey. There is no exact maximum word count for any type of story - like I said, read the post above and that gives you a guide regarding word count. Different publishers have different word count requirements, so it depends who you want to submit to. Hi Chris. Just stumbled across your website and found the info very helpful. I write humorous short stories, I've had about ten published in magazines / newspapers, appeared on tele in the finals of a BBC3 writing comp and had a little monologue on the radio and BBC interactive TV (Johnny Vegas did it proud). My problem is, as much as I'd love to write a 50,000+ word novel, I just find the whole thing too daunting to attempt. Any ideas? Hi Paul. Congratulations - it sounds like you're doing really well with getting your short stories published. I guess you could do a collection of your published short stories? That might make a novel length book. Or you could do a writing course, like the one offered by the Writers Bureau. I did that (many years ago, to be honest, but found it very helpful) and then wrote a novel after doing it. Or you could use platforms like Wattpad and Inkitt. You can upload chapters to those platforms and gain feedback from readers as you go. Sir, I have written a bunch of short stories. I'm not English, so I have some problems to face with publishing my short stories. I think I write well, but nobody comments on my stories. So now I need a critiquing platform for my short stories. They are written from extracts of my personal diary. I hope you will read my story and give me a chance to prove myself. Thank you. Hi Swapnil. I receive many requests to read other writers work for free and offer advice. I have to turn all of these requests down, I’m afraid. I just don’t have time to read stories for free. I do offer a paid proofreading service which you’d be welcome to use. You can learn about that in Writing Services section of my website. If you want some ideas of where to obtain free feedback on your stories, try this resource. There are some platforms listed there that might be of interest to you. I wish you the best of luck with your writing. Do you accept short stories from autobiographs? Memoirs? Hi Trevor. Are you referring to my competition? If so, you can see all the details here. If you're referring to writing a post for my website, please see my submission guidelines. The only other way I accept stories is through my flash fiction writing challenges. If that doesn't answer your question, please elaborate so that I know what you're referring to. Hello Chris. As I have had some memoirs published in news papers and magazines (some with small financial rewards) I would like your advice as to where I could improve my income. I am in my senior years so have plenty of experiences. Your suggestions would be appreciated. Hi Trevor. Well, I list a couple of memoir competitions in my non-fiction competitions resource. Aside from that, I'm not aware of any other opportunities specifically for memoirs. If you discover any, please let me know, as I often get asked about them. Maybe there's a gap in the market? This information is really helpful! But I gotta ask, are these story lengths the length of a chapter or the length of an entire book? So, a book can be in two categories at once, because the categories overlap each other? Example: A 16k word story is both a Novelette and a short story. Hi Jarod. It depends which publisher you research... many have different requirements on the word count limits attributed to short stories, novellas, novels etc. The best advice is to see what word limits a publisher asks for and how they refer to the different story lengths as part of your market research, prior to submitting. The numbers on this page simply show the ballpark figures, based on research across a wide variety of publishers in different countries. Dear Mr Fielden. I am from Sri Lanka. I am a passionate reader as well as a writer. I write novels, and short stories. I want to know if I, being someone from Sri Lanka, could apply for these competitions listed on your site, and if I could also be able to publish mu short stories through this site. I am so interested to go through this site, and it is very informative and helpful. Most of the competition I list will accept entries from writers living anywhere in the world. However, some of them do have local restrictions - just check the submission guidelines before entering. If you want to write for my site, have a look at my writing challenges. I publish writers through those. I wish you the best of luck with your writing and submissions. Dear Mr Fielden. Thank you so much for your quick response. I really appreciate it. Thank you for your information on publishing, and I shall for sure check the sites for more details and restrictions, if there are any. Thanks for sharing the link to your publishing site, that is so very kind of you. I shall be happy to do so. First I shall check the details through the link provided by you. Dear Christopher, I am at present writing a book about my travels to Cornwall over the past fifty years, I would like to know if this will be classed as a short story, instead of a book. I have written 26,500 words and 129 A4 pages so far,I will be including photographs, my life is long, so maybe not qualify as a short story! Many thanks for any enlightenment you might give me. Hi Bernadette. Well, it depends on the publisher really. Most publishers seem to class stories of that length as a novella or a novelette, but some may still class it as a short story. If your book is non-fiction, you might find it’s classed as a memoir or autobiography by some publishers and agents – you’ll have to research and see what they ask for I guess. I hope that’s helpful. I wish you the best of luck with your book. Dear Chris, many thanks for your reply it was very helpful, I think it maybe an autobiography, but time will tell I am sure. I shall research more on your link, thank you very much. Good morning, I am just after some advice, if possible. I have a cousin who writes short stories. They have not had anything published, yet, but I think that they could have. My question is, where would they need to submit a short story? I am asking on their behalf as they do not have the internet. Any advice you could let me have, and I will pass it on. Thank you for your time. Hi Malcolm, thank you for your message. You'll be pleased to hear that there are hundreds of publication opportunities for short stories nowadays. I list many on my website. You can find details of hundreds of short story competitions here. And you'll find details of hundreds of short story magazines, journals and websites here. If your cousin doesn't have the internet, they may struggle as the vast majority of submissions are undertaken online. But I guess they could use an internet café or something. I am 13 and working on a trilogy. The first book is on 46,000 words, so nearly half way! The main three books (the trilogy I mentioned), are actually also in a trilogy, while being a trilogy themselves. It is tough finding time to write, especially around work and, in your case, studying. I try and set some time aside every day, even if it's just 30 minutes. Turn off the phone, the internet and anything that can distract you. And then write. I often go out to write, too. I have a camper van that I use as a mobile writing office and that means I can go away and focus. You won't be driving yet... but going to a library, or somewhere quiet, might make it easier to focus. That approach works for me. I hope it might work for you too. Re publishing, it depends what you want to do with your books. You can self-publish easily nowadays, on CreateSpace, Amazon, Lulu etc. Or you can try approaching agents and publishers. If you want to do that, try the Writers' and Artists' Yearbook or the Mslexia Indie Press Guide as a starting point for your research. They're both very useful.